TS-MD: The Ninth Planet, Sunday Dec 10th, 1-3 pm, a talk by Leonard Jackson, Jr.
Mr Jackson will compare current scientific knowledge about the Ninth Planet, to ideas from interpretations of cuneiform and Biblical texts. CalTech astronomers reported in January 2016 that observations of Kuiper Belt objects at the edge of our solar system could indicate the existence of a new planet. 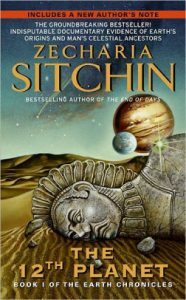 Is this Ninth Planet the same as the one Zecharia Sitchin wrote about in The 12th Planet?